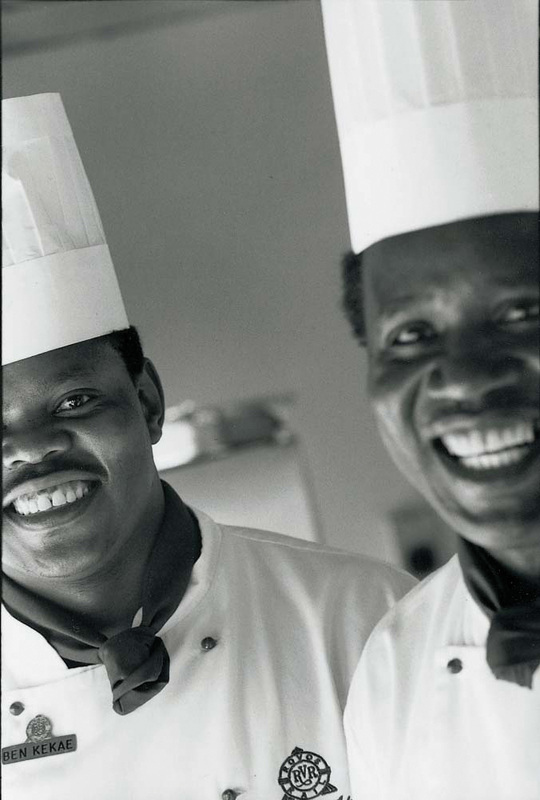 "An enthusiastic team of chefs is responsible for overseeing the very important task of ensuring guests every need is catered for." 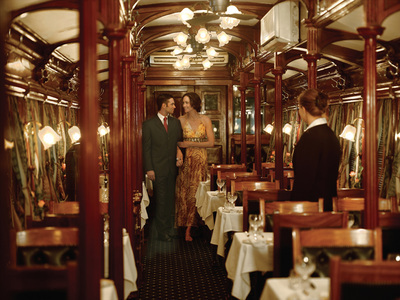 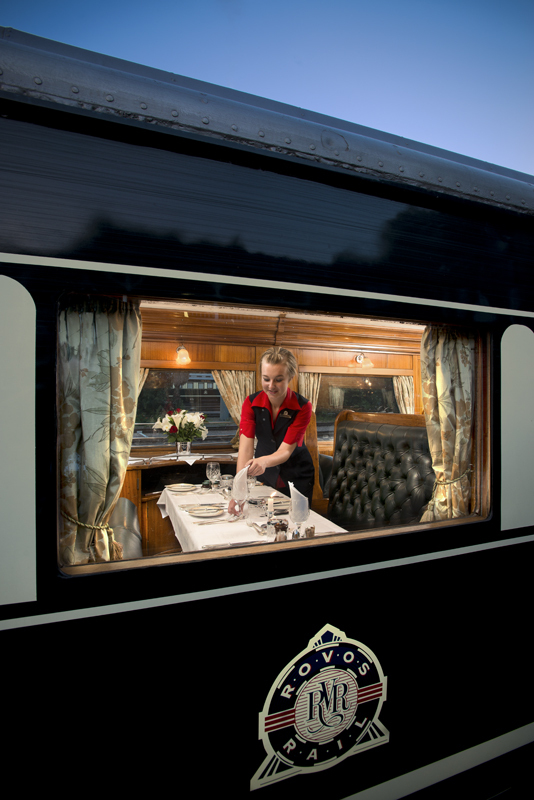 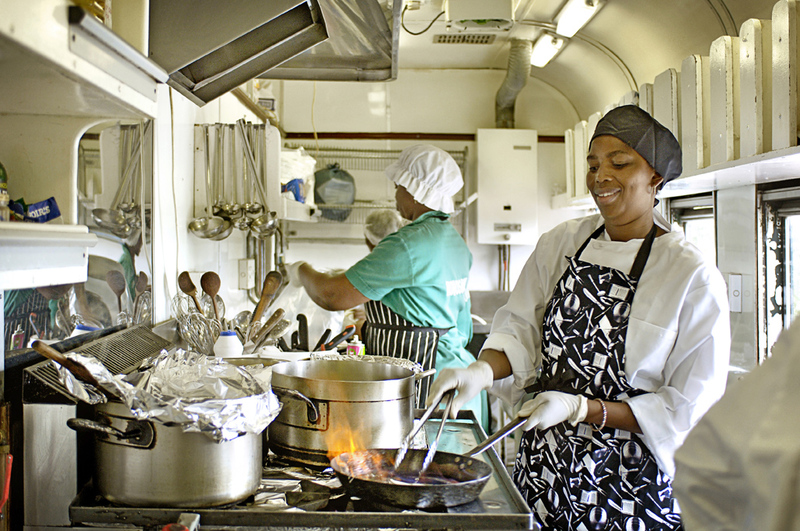 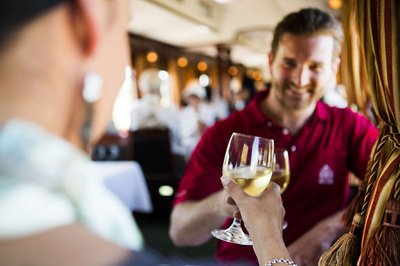 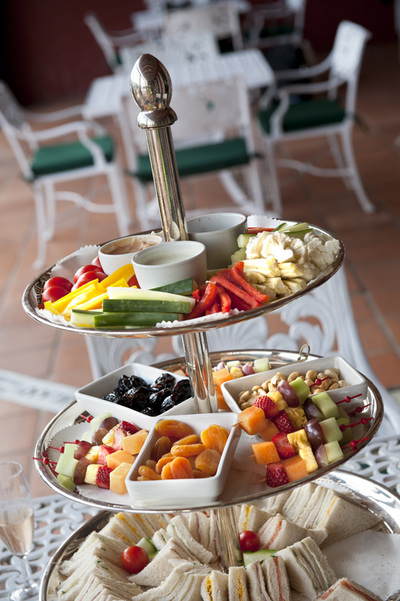 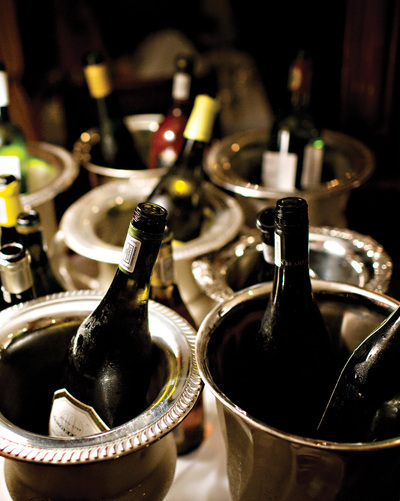 Meals are served in one sitting only in the charming Victorian atmosphere of the dining cars and are complemented by a selection of fine South African wines. 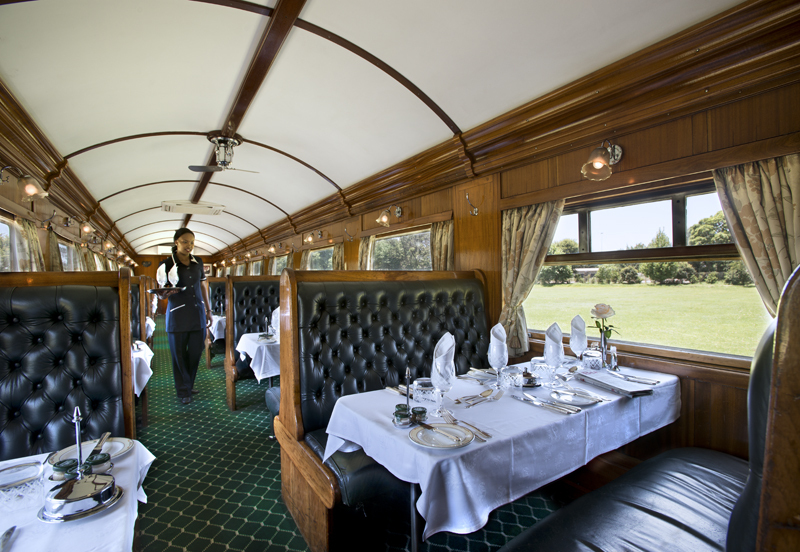 All meals are served at these times unless otherwise stated in the timetable. 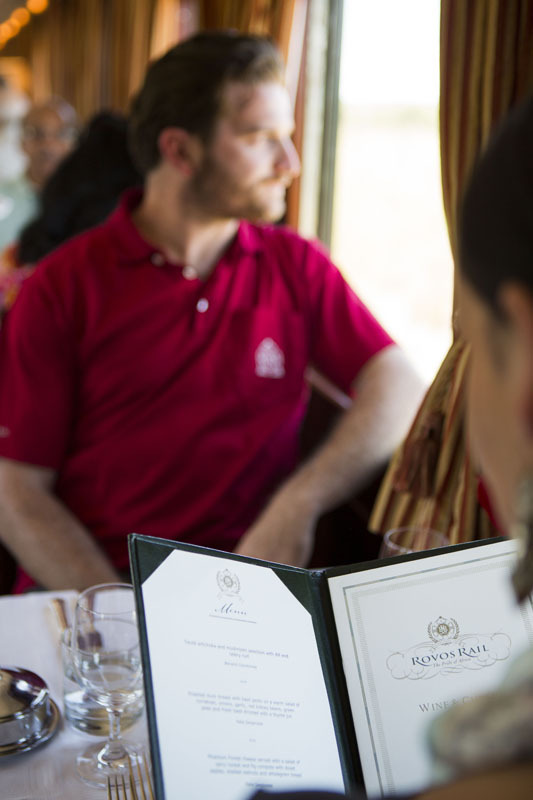 Rovos Rail will do their best to cater for dietary requirements provided a detailed request has been made on the Reservation Form. 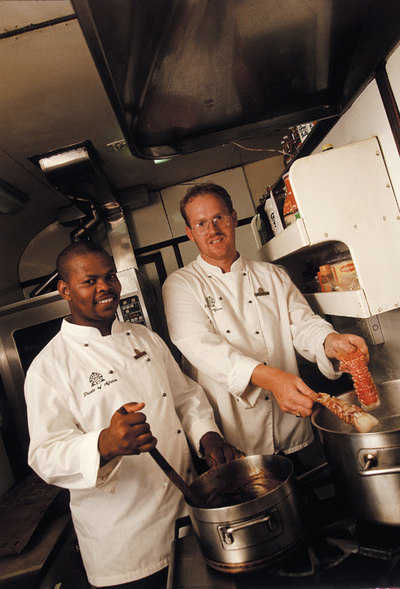 If a special request has not been made, the chefs will endeavour to prepare suitable meals with the ingredients available on board. 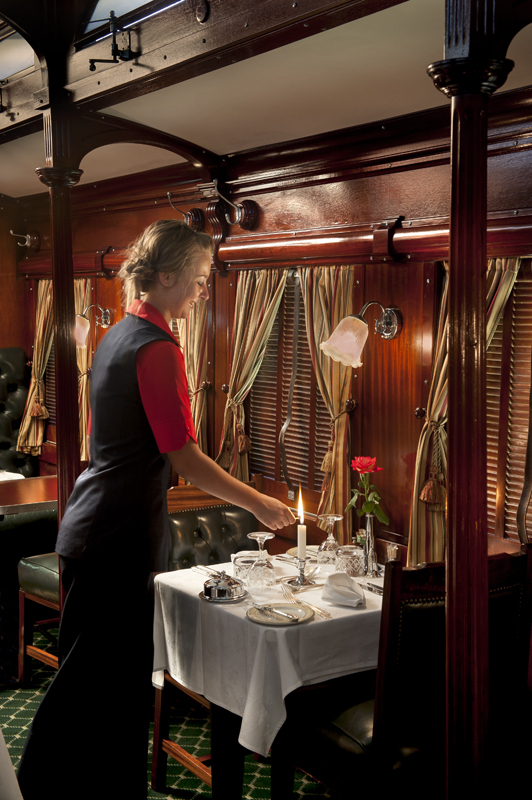 Rovos Rail regrets that they are unable to provide meals requiring strict religious observance in the preparation. 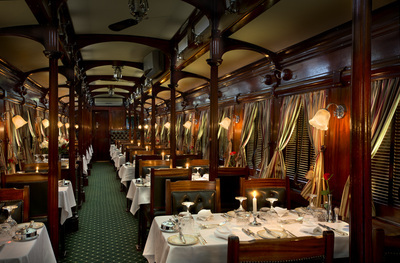 Rovos Rail is understandably proud of their history of restoration work on their Carriages. 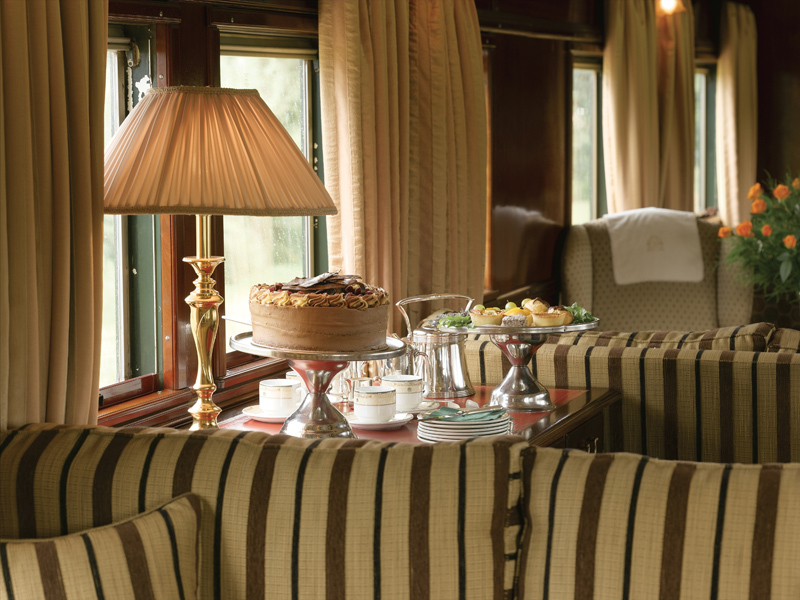 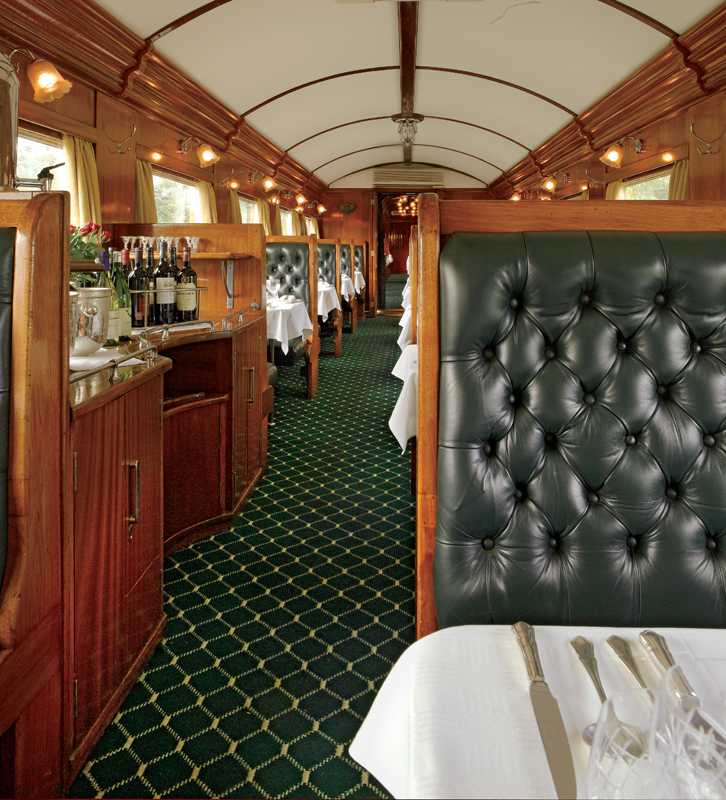 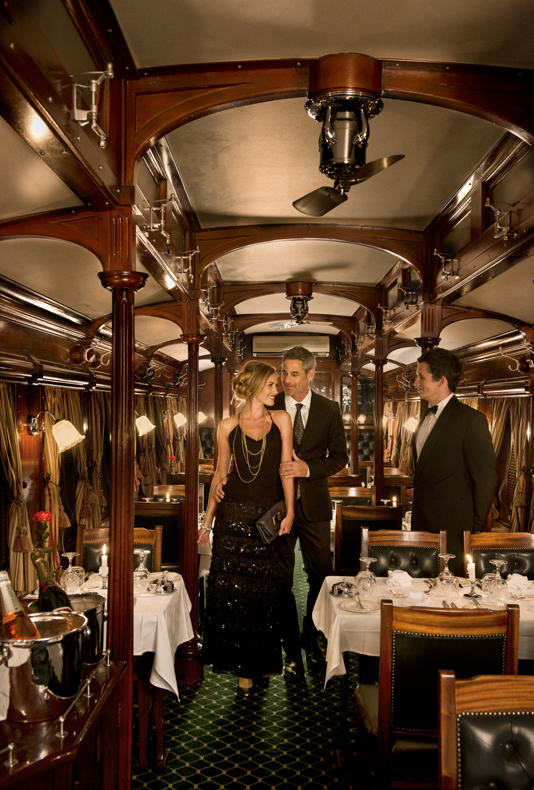 The Classic and Edwardian trains both travel with beautiful pre-1940 dining cars. Two A-22 twin diners, which are characterised by carved roof-supporting pillars and arches, are named for their original derivation of each being run with a dedicated kitchen car. In 2010, dining cars 6447 and 5274 were added to the collection. 6447 was built from a second-class sleeper carriage, whilst 5274 was rusted through third-class sleeper, which after conversion is fondly referred to by staff as the ‘Rust Bucket’. 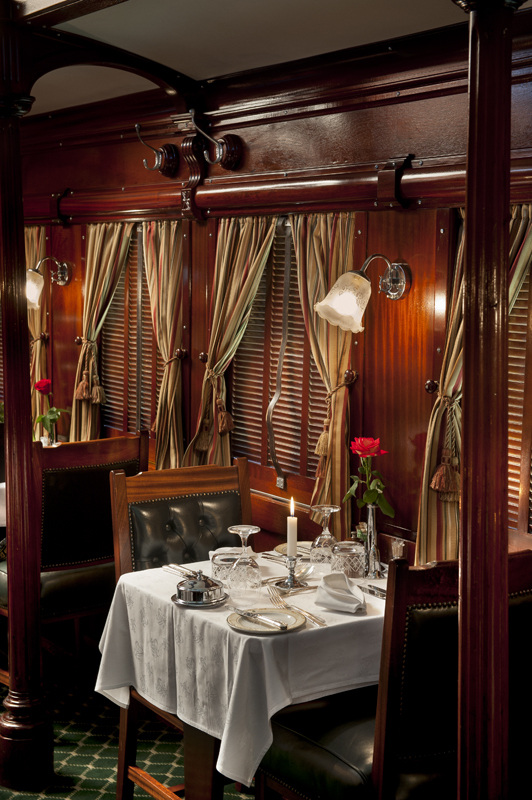 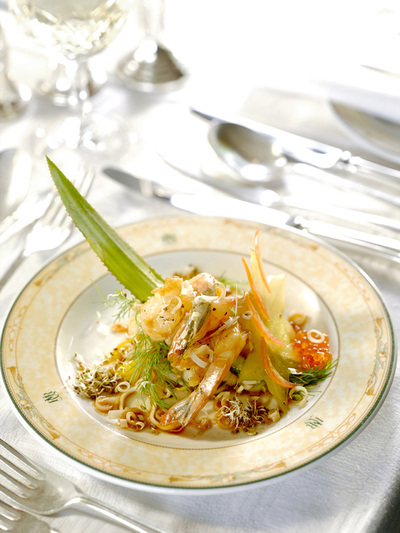 Rovos Rail takes pride in the fact that all meals are served in one sitting only in the Victorian era atmosphere of the dining cars; lunch and dinner are complemented by a selection of fine South African wines. All meals are produced by an enthusiastic team of chefs who are responsible for ensuring that the needs of the guests are met and catered for. Tea is usually served at 16h30 in the midway Lounge Car or Observation Car at the rear of the train. The accent with all meals is on fresh local ingredients; with traditional dishes such as game being a specialty on the train. At the sound of a gong heralds lunch and dinner. 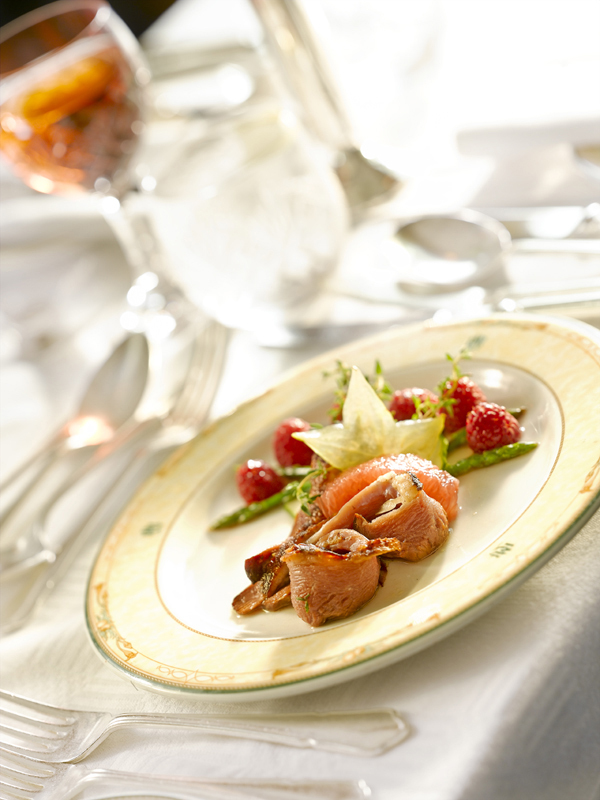 Formal dinner is served at 19h30.